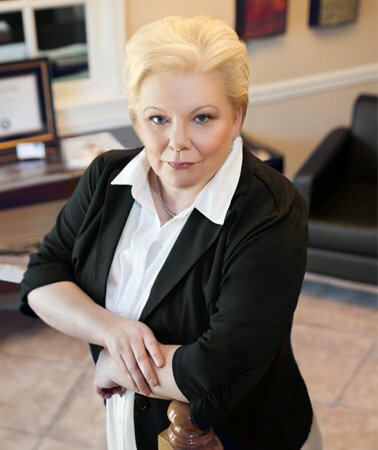 At The Hawkins Law Firm, we handle every type of probate matter for our clients in Arab, Alabama and surrounding communities, including estate administration, conservatorships, guardianships, and probate litigation. A conservator is a person appointed by the court to manage an incapacitated person’s (the “conservatee’s”) estate. A person may be declared incapacitated by the probate court due to: dementia; mental infirmities resulting from an accident, injury, or illness; or if they are under the age of 19. A minor child in Alabama may need a conservator because in many instances even a parent does not have the legal authority to manage the money or assets of their children. The conservator is responsible for making financial decisions for the conservatee, including but not limited to: payment of bills, taxes and expenses; making investment decisions; conducting the sale, purchase, or rental of property; and the execution of contracts and agreements. A guardian is a person who is appointed by the probate court to manage and handle the health care, welfare, and lifestyle decisions of a minor or incapacitated adult. Similar to a conservatorship, a person may be declared incapacitated by the probate court due to: dementia; mental infirmities resulting from an accident, injury, or illness; or if they are under the age of 19. A guardian for a minor is usually not necessary when there is a living and custodial parent, because parents have the legal authority to make health, welfare and lifestyle decisions for their children. If a guardian for a minor is required, the court can appoint any person whose appointment would be in the best interest of the minor. The court can appoint a person nominated by the minor, if the minor is over the age of 14, assuming the nomination is not contrary to the minor’s best interest. The court can also appoint a person nominated in the will of the parent, or other written document signed by the parent and witnessed by at least two persons. The executor of a will and the administrator of an estate being probated under intestate succession both have fiduciary duties which they owe to the potential beneficiaries. These duties include properly managing the property, investments, and other aspects of the estate, and acting in the best interests of the beneficiaries and the estate, as opposed to engaging in self-dealing or other conflicts of interests. An executor or administrator who fails in this role may be sued in court for breach of duty or breach of trust and may be liable for loss, depreciation or other damages caused by his or her actions. The attorneys at The Hawkins Law Firm offer a wealth of experience in all manner of probate court proceedings. Serving as the personal representative of a decedent’s estate or as a conservator or guardian involves many fiduciary duties and responsibilities. Seek the guidance and representation of an experienced Alabama probate attorney with your probate matter. Contact The Hawkins Law Firm for a consultation.